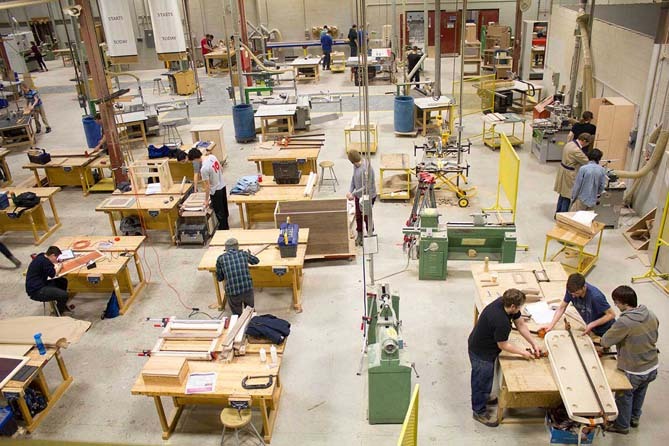 Coming to learn at the Woodworking Centre of Ontario means coming to one of the largest and most advanced learning workshops in the world. 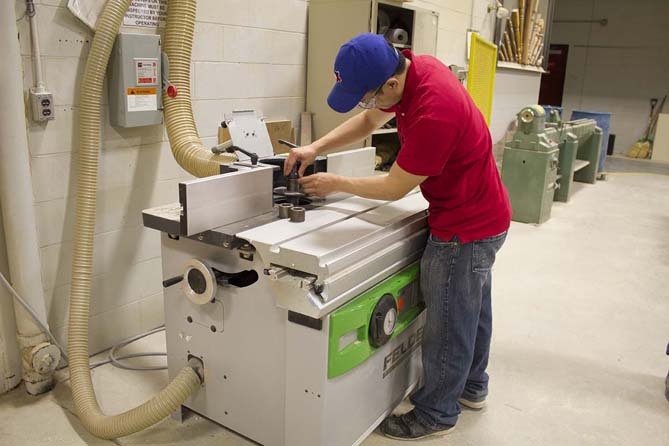 The Woodworking Centre houses the latest manufacturing technology available to give you the hands-on experience needed to join today's industries. 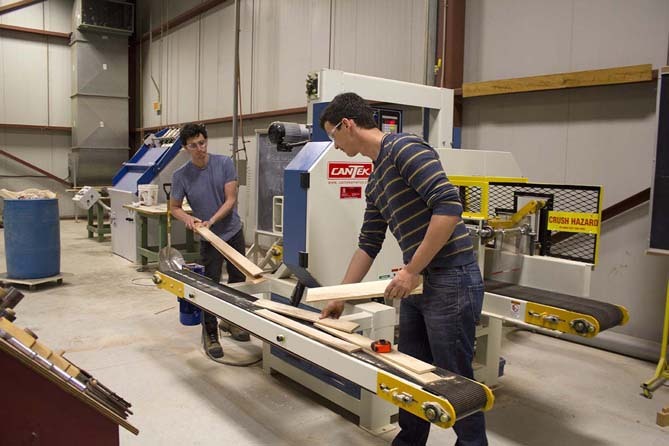 We invite you for a tour of our facilities where you can see our production area, meet our faculty and consider the opportunities available to you at the Woodworking Centre of Ontario. 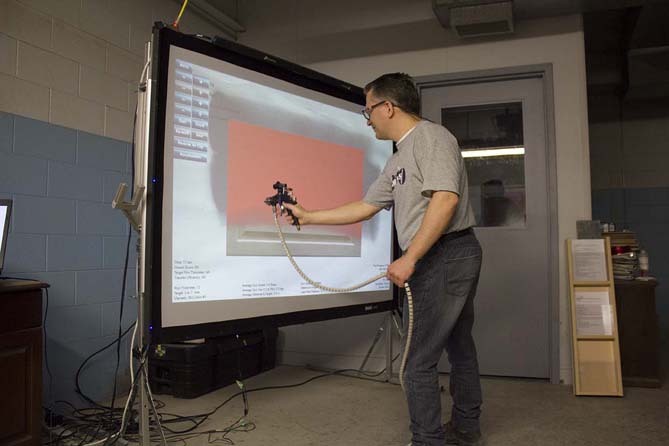 Practising spray finishing technique with the Virtual Spray System. 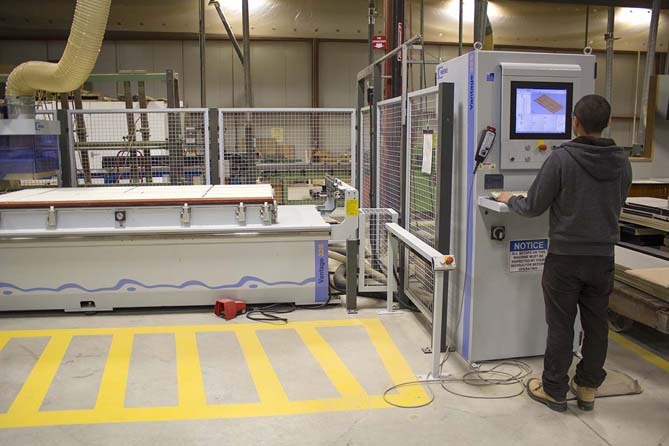 Programming the Weeke CNC processing centre. Setting up the Felder shaper. Processing lumber on the Cantek re-saw. View from the mezzanine of the workbench, manual lathe and shaper area of the shop. 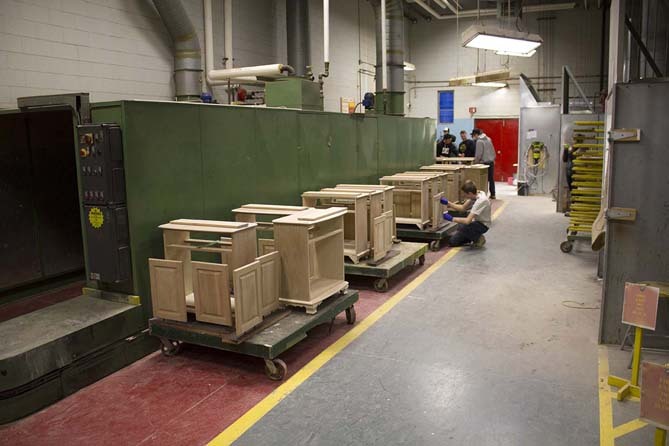 Unfinished cabinets from a Machining II Practical course on the drying oven conveyor line in the finishing room. 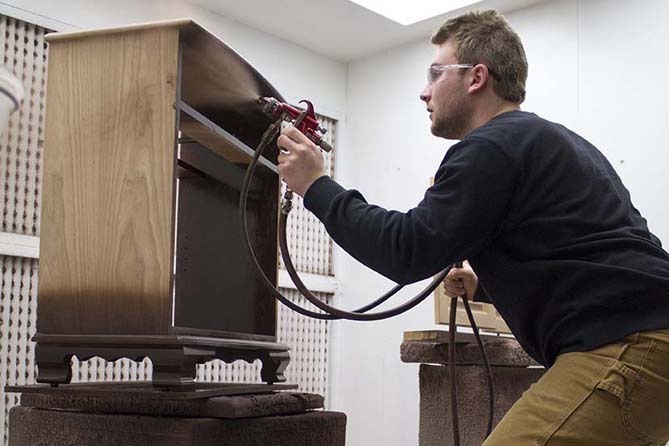 Spray finishing a cabinet in the finishing room.